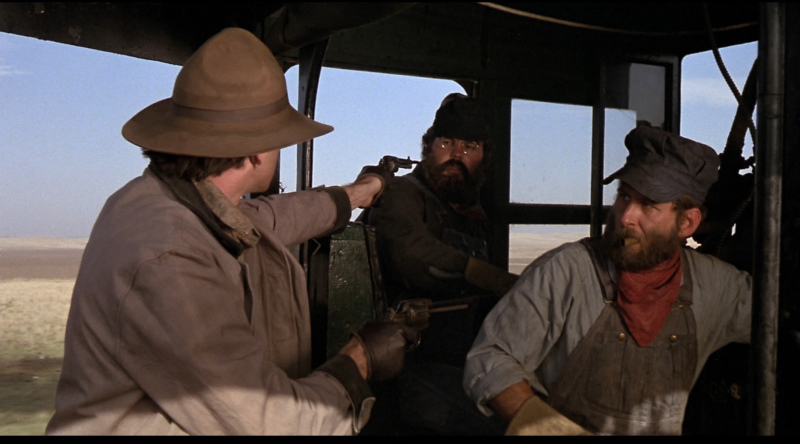 Never underestimate the power of a cheesy Western, especially one directed by an accomplished man like Walter Hill. 48 Hrs, Brewster’s Millions, Red Heat, Geronimo, Last Man Standing; these are just films he directed, but he also wrote both Aliens and Alien 3, and he’s still producing all the new Alien franchise films, so the beat goes on. Hill is multi-talented, and it shows here in a movie he had a heavy hand in and guided to be better than it would seem that it has the potential to be. For a feature from 1980 that hosts a giant list of b-talent, The Long Riders is surprisingly good, and should no longer be ignored. This is the partially true story of the exploits of Jesse James and his gang of wild outlaws. Growing up in Missouri, the James boys, Jesse and Frank, learned to love the land, its people, and the freedom they enjoyed in that unique wilderness. After growing up and then living through the Civil War, life changed for the James clan, and for all ex-Rebels who didn’t know what to do with their lives next. Crime was an easy occupation, robbing banks, stage coaches, and trains, much easier than starting a farm or a ranch, and Jesse was a natural at the bandit way, pulling off each score like taking candy from a baby. Jesse and Frank were joined in their life of crime by many bands of brothers, family ties being stronger than steel in the Ozarks, a forested land still clinging to the old ways though the new ones crept in from all around. The Youngers rode with the Jameses, Cole, Jim, and Bob. There were also the Miller boys, Ed and Clell, as well as, later, the notorious Fords, Charlie and Robert. These rough riders were sought out by every lawmen in Missouri and neighboring states, but none could catch the gang, not when they were in their prime, not when they stuck together to write the very history of the West with their every deed and adventure. First thing’s first; the brothers. This film is unique in the way that it cast actual brothers to play all the fraternal bands, a gimmick that actually produced believable couplings and legitimate bonds. James and Stacy Keach played the James boys, Stacy becoming much more famous than his brother, although James was the star of the film. The Youngers were played by the Carradines, David, Keith, and Robert. That gives up a range from Kung Fu to Revenge of the Nerds; impressive. The Quaids were the Millers, and we’ve all watched the careers of Randy and Dennis. Lastly, and perhaps the most entertaining, Christopher and Nicholas Guest played the Fords, which is wonderful considering what Chris would go on to do with his film life, and how Nick became a voice actor, with a timbre that is exactly like his brother’s. Anyway, that part of the movie is fun to sift through and to pick apart for nuggets, as is the rest of the diverse cast: Harry Carey Jr, Pamela Reed from Kindergarten Cop, James Remar from basically everything. This film serves an honorable purpose as a time capsule, but it actually holds its own much better than you might imagine as an addition to the wonderful Western genre. You get exactly what you want from this style; horses, whores, poker, shootouts, a little history, and one of the better posse-shooting-at-you-from-all-directions scenes that you’re likely to come across. 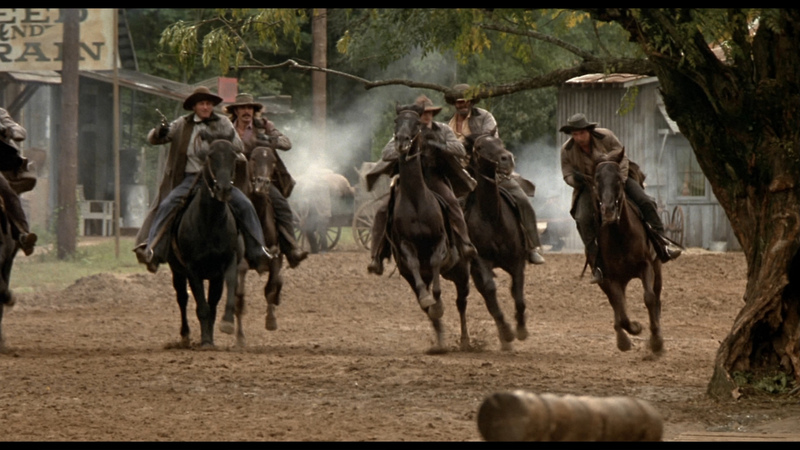 That pivotal moment segues into shots of the outlaws riding through a glade of tall, thin trees, and that 30 seconds will absolutely blow you away if you are into cinematography. 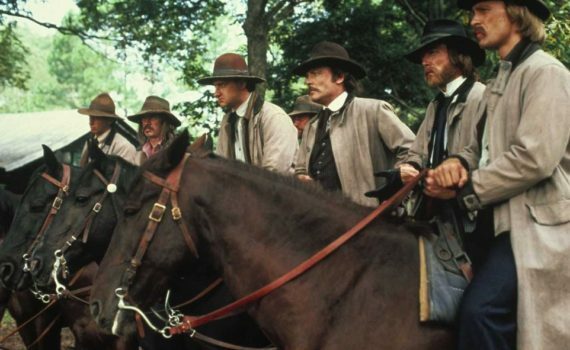 The Long Riders is simply stronger than it ought to be, when you consider its lack of acting talent and the time period. Video – With an aspect ratio of 1.85:1 (1920x1080p), and shot using a Panaflex camera and lenses by Panavision, the video quality of this Blu-ray disc is pretty impressive for something from 1980 transferred into a modern medium. The color and clarity are quite nice, especially considering the era in which the movie itself was filmed. Audio – The film’s audio was done in English 5.1, with an option of 2.0. The film is in English, with an option of English subtitles. There are some excellent sound choices made during this film, from backing music to songs played as part of the story. The sound transports audiences to the time period, and always feels well thought out. 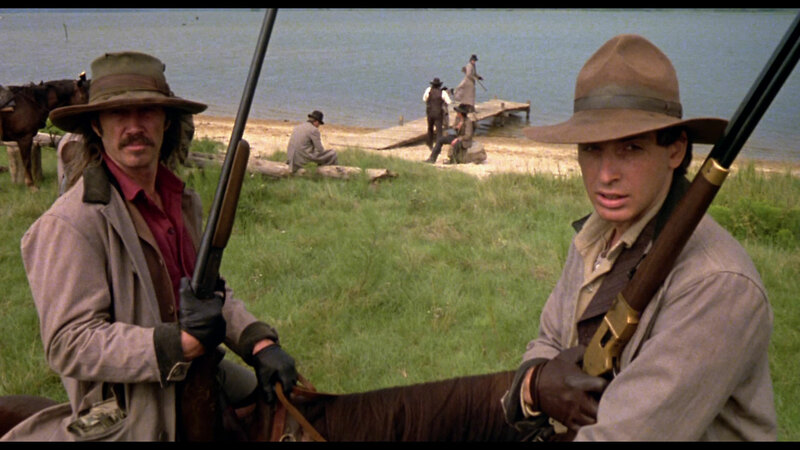 Extras – There are many extras on the two discs of this Blu-ray set. On the main disc, audio commentary can be played along with the feature, with insight from film historians Howard S. Berger, Steve Mitchell, and Nathaniel Thompson. There are also five trailers: The Long Riders, Death Rides a Horse, The Mercenary, Valdez is Coming, The Hunting Party. Additional special features include new interviews with stars Keith Carradine, Robert Carradine, Stacy Keach, James Keach, Randy Quaid, and Nicholas Guest, a new interview with director Walter Hill, a new interview with composer Ry Cooder, and a new interview with producer Tim Zinneman. Outlaw Brothers: The Making of The Long Riders is an hour-long behind-the-scenes segment. The Northfield Minnesota Raid: Anatomy of a Scene is a 15-minute breakdown. And Slow Motion: Walter Hill on Sam Peckinpath in a 6-min featurette. Highly Recommended. You’re either a fan of older Westerns or you aren’t, but The Long Riders does a surprisingly solid job of reproducing the effective parts of the genre, while creating their own gimmick that makes the movie even better instead of forcing it to feel cheap. It’s not often you get this level of b-celebrity together in one place, and even less often that a lack of talent still produces something worth watching. Give credit to Walter Hill and his cinematography; they combined to create a film worth enjoying, and something that I hope others will give a chance; assuming you like this style, I don’t think you’ll be disappointed.